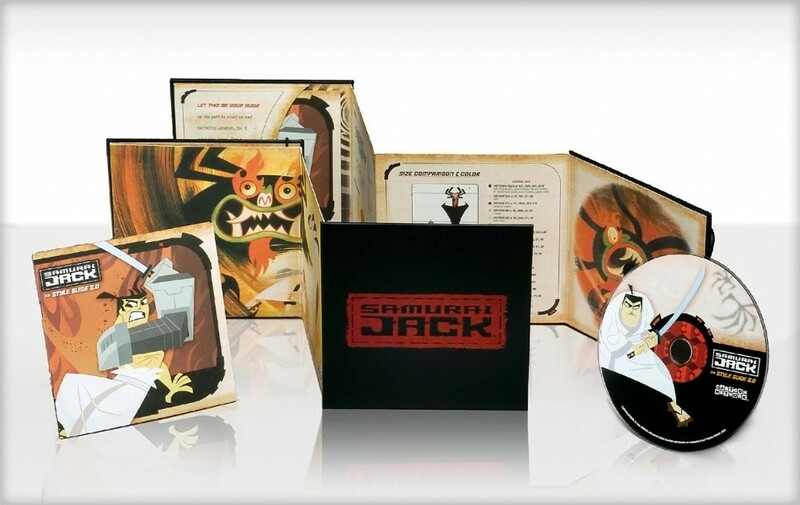 This licensing style guide from the show Samurai Jack was developed for retail and consumer products applications. Licensees were able to create products from a collection of themed character art, patterns, borders, fonts, and design elements. The outer packaging and DVD face was designed to align with the show style and to set the tone for licensee product.